Anthony Graves got a check for $1.45 million today from Texas Comptroller Susan Combs, money the state owed him for keeping him behind bars for nearly two decades for a crime he did not commit. 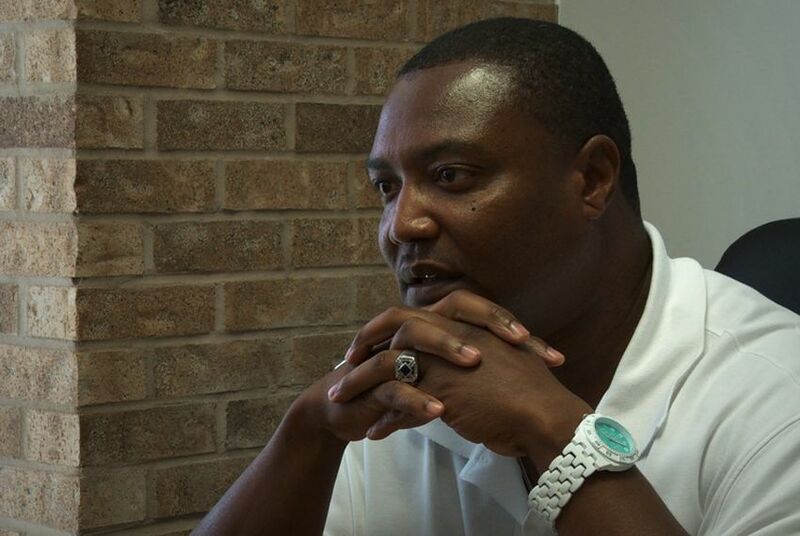 Anthony Graves got a check for $1.45 million today from Texas Comptroller Susan Combs, money the state owed him for keeping him behind bars nearly two decades for a crime he did not commit. In addition to today's payment, Graves will receive monthly annuity checks starting next year. Graves was convicted in 1994 of murder based largely on the testimony of Robert Carter, who later recanted his story and said Graves was innocent. He was freed in October when a Burleson County special prosecutor dropped the charges against Graves for lack of evidence. But the order releasing Graves from prison did not declare his "actual innocence," and so Combs said under the law she could not award him the money he would otherwise be due under the Timothy Cole Compensation Act. That law, passed in 2009, provides the wrongfully convicted $80,000 for each year of imprisonment and a lifetime annuity. During the legislative session that just ended last month, legislators passed a law allowing Graves to be compensated under the act. Perry signed the measure, and Combs handed Graves a check today. "I am delighted we have been able to pay Anthony Graves the compensation he deserves," Combs said in a press release. Though the initial denial of compensation was frustrating, Graves said he understood that Combs' hands were tied under the law. "As we worked with the Comptroller on this issue, I realized she and her staff are committed to helping me make up for my years lost in prison," he said in a statement. While they lauded Combs for paying Graves, his lawyers said the fight to clear his name continues. A lawsuit against the attorney general's office seeking a declaration of his actual innocence remains pending. And Innocence Project of Texas chief counsel Jeff Blackburn said much work remains to solve the problems in Texas' criminal justice system that allow the kind of prosecutorial misconduct that resulted in Graves' imprisonment. "The worst thing we can do is believe that Anthony’s case shows that the Texas criminal justice system works," Blackburn said in a statement. "This case shows that it doesn’t work."